That amazing trailer for upcoming shooter Bulletstorm — the one taking the mick out of Halo's famous "diorama" trailer — wasn't done with fancy computers. It was done the old-fashioned way. With artists. And fake vomit. A Reddit user's girlfriend worked on the commercial, and ereinecke posted a series of pics showing how the trailer was made. It's great seeing, for once, something that didn't take polygons and processing to build, but hands, brushes and a steady hand. 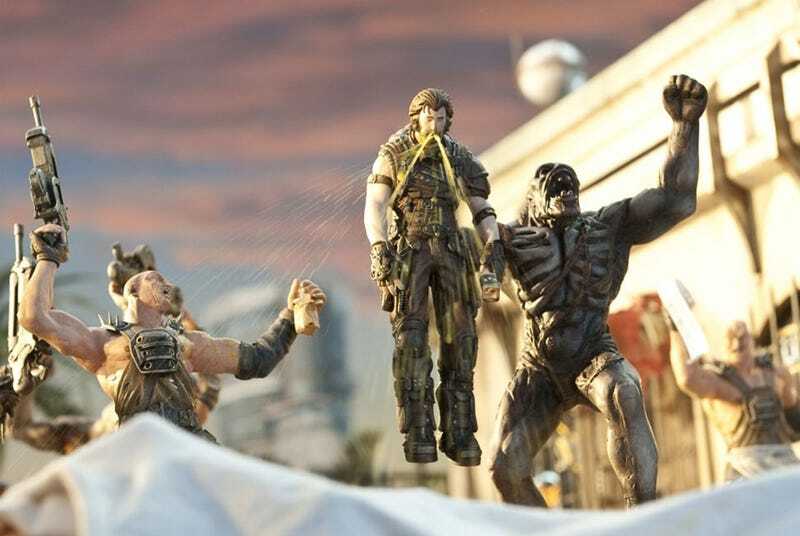 Bulletstorm will be out on PC, Xbox 360 and PS3 next month.